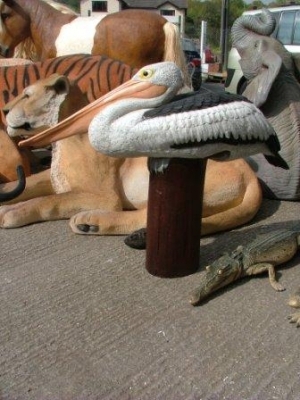 This Pelican sitting on a post is very realistic, and a fantastic addition to complete your beach, or wild bird theme. 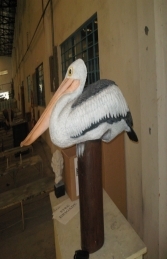 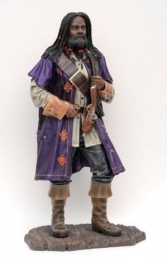 This fantastic Pelican on post in the sitting position would be an ideal addition to pirate, Caribbean or beach themed areas, advertising or drawing attention to your business. 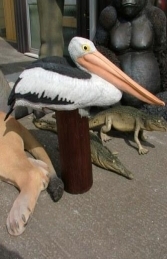 It can be used in any themed area or in shops, businesses, pubs, restaurants, coffee shops, adventure golf courses, zoos, theme-parks.. or even in your own home.